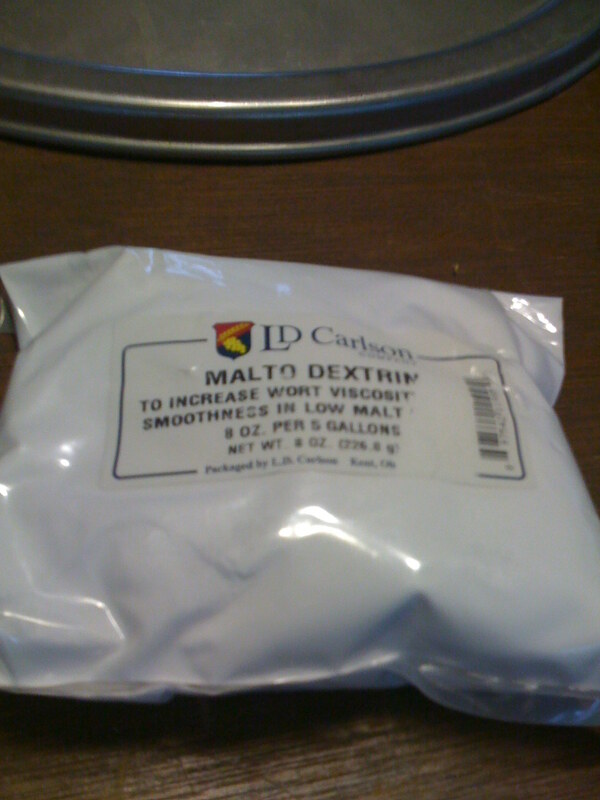 So, a while back I bought some ingredients to make a Gluten Free beer for my friend who has celiac disease. He cannot tolerate any amount of gluten, so his beer choices are limited to the Gluten Free variety. There are some pretty decent ones that have hit the market in recent years, but none of them are particularly exciting. So we decided to make what is basically a Gluten Free APA. 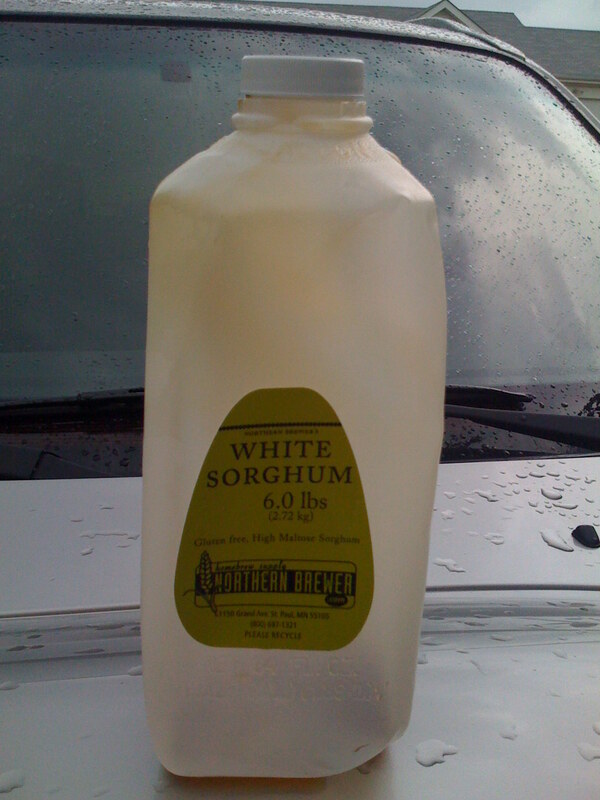 I bought a 6 lb container of White Sorghum Syrup from Northern Brewer, and 2 1lb containers of Lytle’s Golden Syrup (invert sugar). These would make up the bulk of the fermentables. The Lytle’s syrup had a very nice caramelly flavor to it, and imparted a nice color to the water while mixing it in. I’m hoping some of this flavor stick around, but I’m thinking it will ferment out. Next, I added the Sorghum syrup. 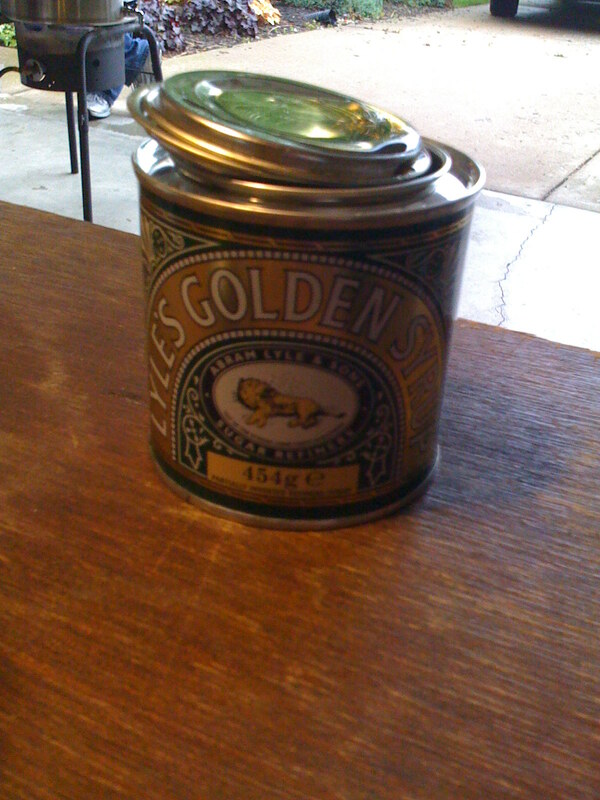 This stuff had a very strange smell, like strong raisins. In fact, the raisin smell was pretty prominent throughout the boil. This was a bit discouraging…I’m hoping this character is not overly prominent in the final product, but who knows, it could turn out to be a good thing. 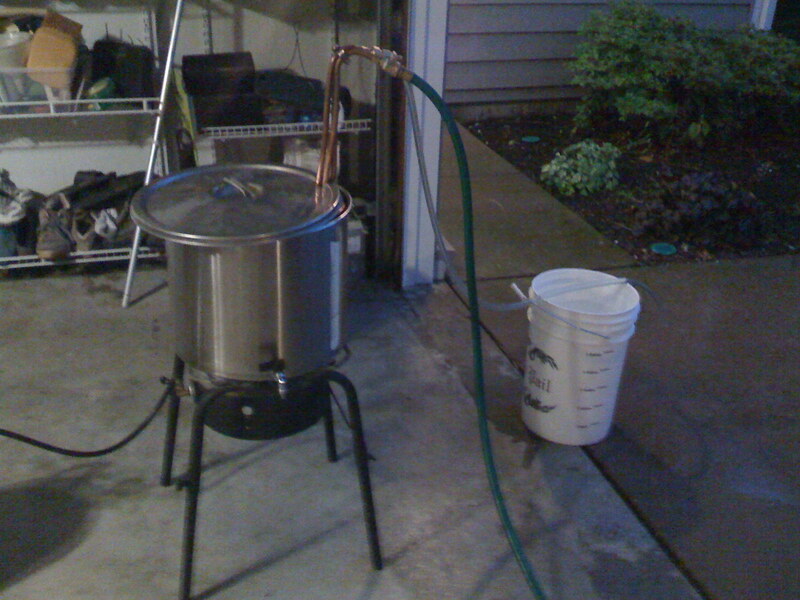 The boil was tricky…the hot break lasted forever, and I had a hard time for a while keeping the boil under control. This was probably due in part to the fact that my new burner is a bit too powerful for a 5 gallon batch. Boiled off a bit more than expected, and it was very vigorous the whole time. Came out 4 gravity points higher than expected, and with a bit less volume. Will adjust the brewing software for the new burner and 5 gallon batches. 1. Almost all GF beers are pretty bland in the hop arena. 2. Wanted something to cover up some of the sorghummy flavor…it’s usually not very beer-like. I added 1.5 oz Willamette at 60 mins, 2 oz at 15 minutes, and 2 oz at flame out. Also used some Irish Moss and Malto Dextrine for body. Used my large B3 chiller, and chilled the 5 gallon batch pretty quickly, so hopefully we’ll get some big hop flavor here. Below is the recipe. I will re-visit when the beer is done, and give impressions. I know that there is not a boatload of info on GF recipes, so I’ll share everything I can here. ~ by kungfool on May 28, 2009. Cool. I’ve seen that syrup in Northern Brewer’s catalog. They have one called treacle that is darker and has a molasses type flavor. I guess its used in some stouts an porters. I thought it might be interesting to make a dunkleweizen with it. Maybe we can try it. That is a MUCH better name. I’ll have to run it by Scott. haha. If that syrup remains raisiny through the ferment you should consider a Belgian Dark Strong next time, then whiskey/oak it. My wife just found out she’s gluten intolerant and she was a bigger beer snob than I am! She’s a real hop-head, and I’ve been searching for the holy grail of a gluten-free IPA. So how did it turn out?! This batch actually didn’t come out well. It was probably infected, and the extract I used was old. We’re gonna try again soon, I’ll post the new batch/results when we do. Still no update on this? 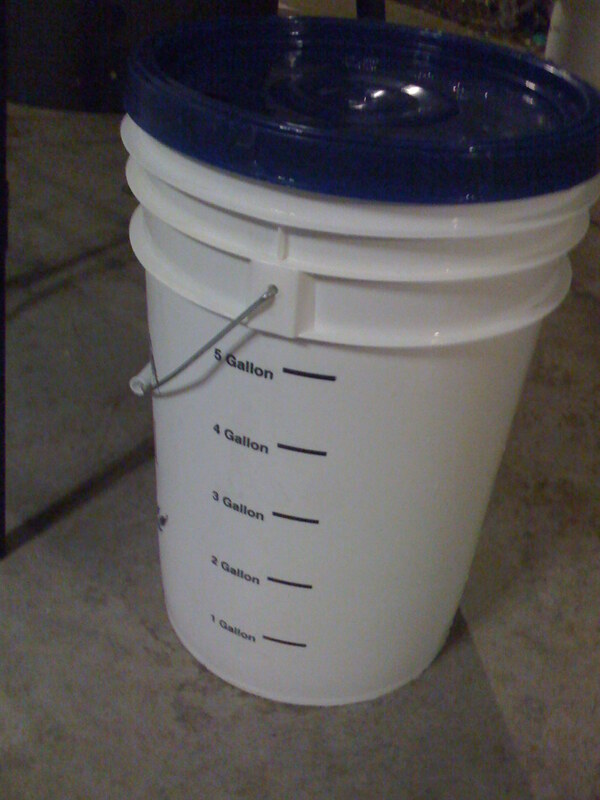 My wife and brother in law are both gluten free and I was thinking about trying out home brewing as a holiday activity for a present for one or both of them. did you ever end up re-making that batch?